Memorial contributions are preferred in lieu of flowers. If mailing donation, please include completed donation form, which is available on the website listed below. 9540 W. Forest Home Ave.
Dr. Gill passed away in the early hours of May 9 after a hard-fought battle with cancer. She was a devoted mother to her daughter Gretchen Gill, PhD. She was a loving sister, serving as the family matriarch to her siblings Carol Stuart, Robert Cox, Patricia LaCosse, Richard Cox, James Cox, and a host of nieces and nephews. She was lifelong friend of ex-husband Gordon Gill and dear sister-in-law and aunt to the Gill family. She was also treasured friend and “adopted mom” to Lorilyn-Jacobsen-Tews, Randy Tews, and “Grandma Joan” to her adopted granddaughters Sarah and Amy Tews. Originally from Peshtigo, Wisconsin, Dr. Gill graduated from medical school in 1976. She was a gifted pediatric hematologist, professor, and researcher. A pioneer in her field, Dr. Gill and her research team were the first to identify immune abnormalities in hemophilia patients that ultimately became recognized as AIDS. She was also the principal investigator for the first grant funded by the NIH on AIDS in hemophilia patients. Her clinical and scientific work was equally important to the diagnosis and treatment of von Willebrand’s Disease. She published hundreds of peer-reviewed articles, editorials, and research abstracts. 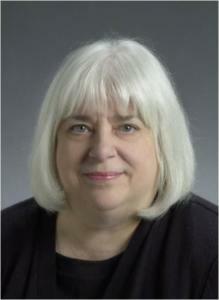 At the time of her so-called retirement, Dr. Gill was Professor of Pediatrics and Medicine at the Medical College of Wisconsin, Investigator at the Blood Research Institute of BloodCenter of Wisconsin, Director of the Comprehensive Center for Bleeding Disorders, treated patients at Children’s Hospital of Wisconsin for nearly three decades, and a founding member of the Hemostasis and Thrombosis Research Society. She will be sorely missed by all whose lives were enriched by her vast intelligence, infectious laugh and quick wit; her devotion to family; dedication to scientific research; loving care for patients and their families; and enthusiasm for the fine arts. A celebration of Dr. Gill’s life will be help one week from today on Sunday, May 20, 2018 at the Boerner Botanical Gardens, 9400 Boerner Drive in Hales Corners, Wisconsin. The event will begin at 1:00 p.m. with a social gathering, followed by a Memorial Service at 2:30 p.m. In lieu of flowers, memorials may be given in Dr. Gill’s honor to the Great Lakes Hemophilia Foundation (www.glhf.org), the Hemostasis and Thrombosis Research Society (www.htrs.org), Milwaukee Symphony Orchestra (www.mso.org), RESCU Foundation (www.rescufoundation.org), Blood Center Research Foundation (www.versiti.org), Children's Hospital of Wisconsin Foundation (www.chw.org), St. Norbert college (www.snc.edu), St. Mary's Catholic Faith community (www.stmaryhc.org).